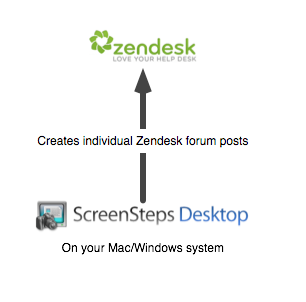 With ScreenSteps Desktop Pro you can create, update and replace forum posts on Zendesk. The content you create will be stored inside of the Zendesk forums. You can create or update one forum post at a time. 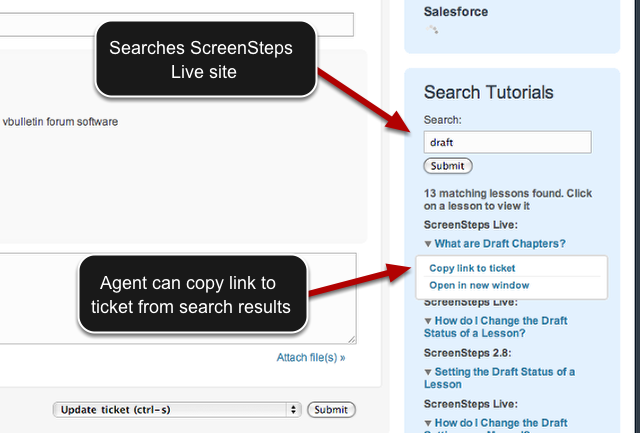 ScreenSteps Live includes ScreenSteps Desktop Pro so you can still create forum posts in Zendesk. But ScreenSteps Live is a cloud product, like Zendesk, that offers some additional functionality. 1. 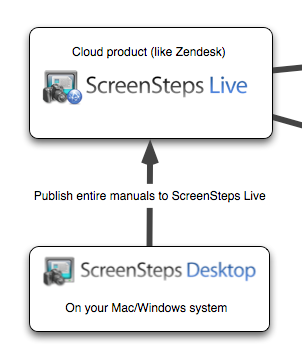 You can publish complete ScreenSteps manuals to ScreenSteps Live. 2. You can synchronize source content for your documentation between multiple authors. This makes updating and collaborating on your documentation much easier. 1. 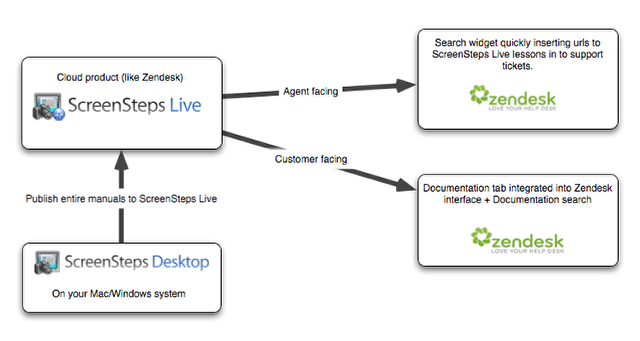 Agent facing - You can add a ScreenSteps Live widget to Zendesk that allows agents to search your ScreenSteps Live documentation and instantly add links into support tickets that point your customers to answers in your ScreenSteps Live site. 2. 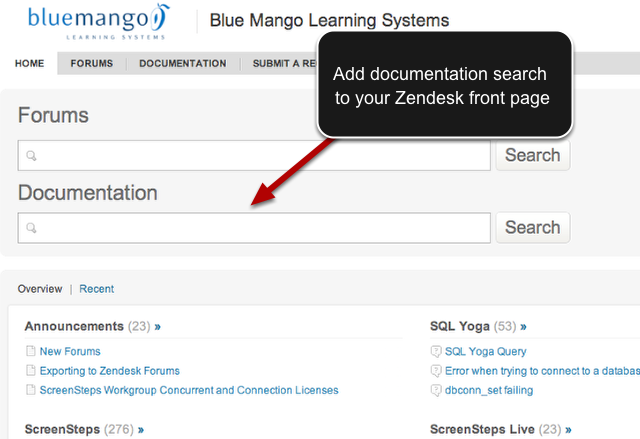 Customer facing - You can use our Zendesk template to add a "Documentation" tab to your Zendesk support site. Here is an example of what the customer facing integration looks like. The Documentation tab comes from ScreenSteps Live. The other tabs are Zendesk. Next: Can I use Zendesk authentication to control access to my ScreenSteps Live site?